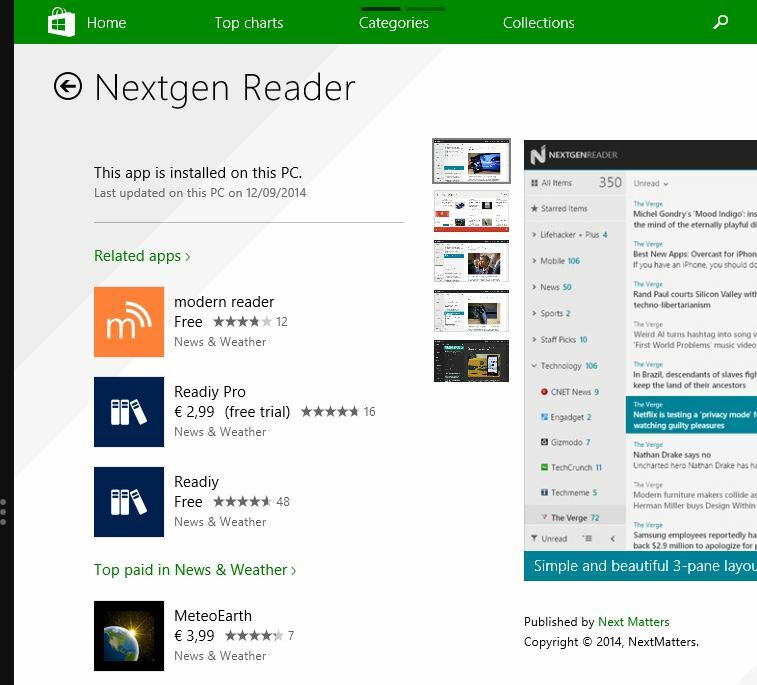 I use Nextgen Reader on my Windows 8.1 Pro (Update 1) desktop and on my Windows Phone 8.1 (release 8.10.12393.890) Lumia 620 phone. 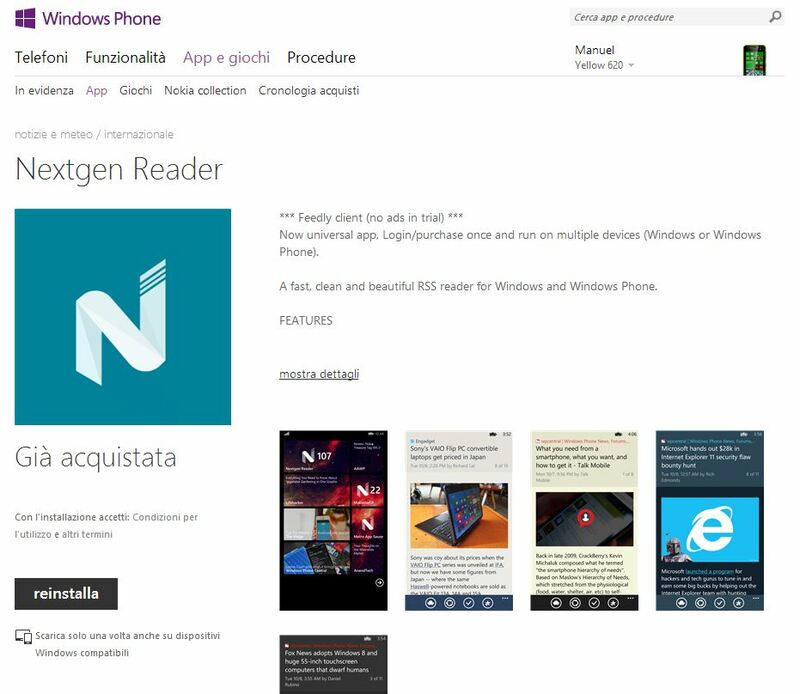 The App is an universal app, so it should follow the rule: buy once and run on multiple devices (Windows or Windows Phone). I don't want to try to press the buy button on the phone because I don't want to risk to be charged twice for the same App and have to ask assistance for a refund. Can someone please explain me if this behavior is normal? Thanks in advance. Pressing [ buy ] will synchronise the licence, and install the app without incurring additional charge. 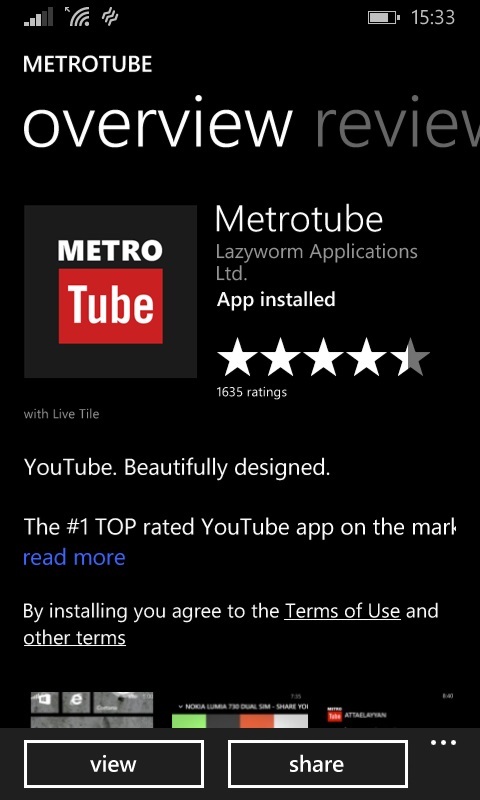 You still see the buy button as you don't have the app installed on your phone yet. When you hit buy the phone will check the store if you have already paid for the (universal) app and then let you download it. Afterwards you'll see the share button. Not the answer you're looking for? Browse other questions tagged 8.1 store or ask your own question. Why can't I use Action Center? 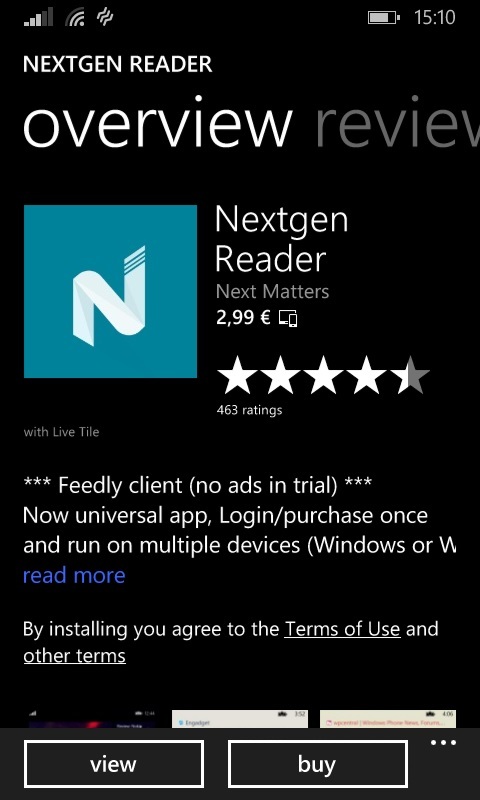 In WP8.1, where does Acrobat Reader get/store PDFs?